Rinse and cube the potatoes. 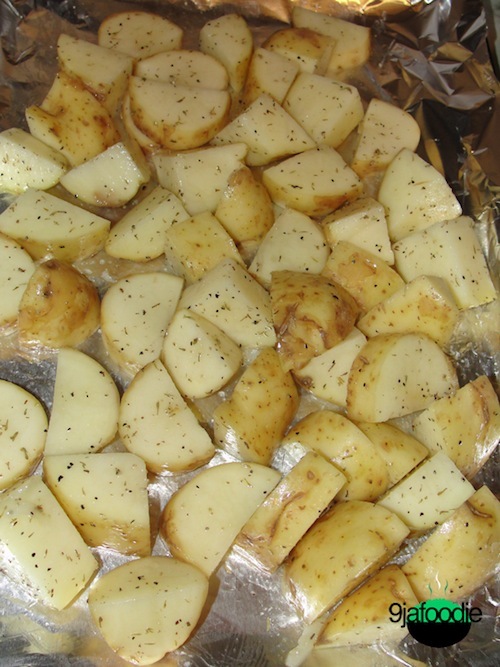 In a large bowl, combine the potatoes with some salt, black pepper and Olive oil. Toss well. place a wok or frying pan over medium heat, add in the left over olive oil. 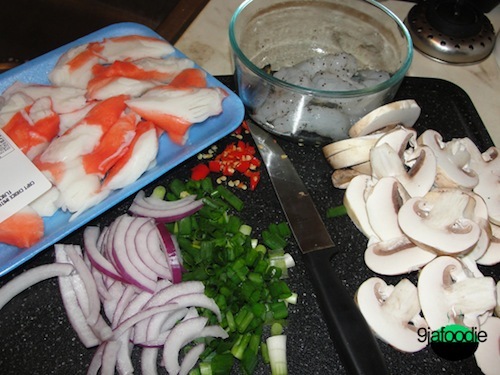 Add in the chopped onion, mushrooms and spring onions. Stir-Fry for 5-7 mins. Add in the crab meat, maggi, and salt. Combine. 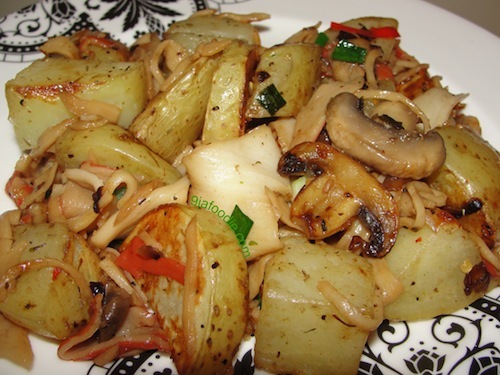 Add in the cooked potatoes. Leave to cook for another 5mins.